After all your wedding favour will be the very thing that your guests take home with them to remind them of your special day. So you want it to be special, and memorable! But for some couples starting the process of picking that perfect favour can be just as stressful as picking out that perfect dress and wedding invitation! And that’s why we are here to help. Don’t underestimate the importance of your wedding favours as the tradition of handing out wedding favours is a long-standing symbol of the gratitude the bride and groom feel for sharing in one of their most important moments of their lives. When choosing your favours they should reflect your personal style. Choose a favour that really means something, one that is practical and long lasting or one that suits your wedding’s theme. Give a favour that makes an impression – one that stands out – something absolutely fabulous and that won’t break your bank or budget. Favours can be inspired by the season you are getting married in, the setting, the theme, or even your passions. Whether you are throwing a destination tropical beach wedding, are passionate about baking, or music, or even hoping for snowflakes on your special day, or perhaps are head over heels for chocolate truffles – your favours should inspire you and fit in with your personal style. And this is just the basics. It’s no wonder that couples can get overwhelmed when they try to pick out favours! First, if you can, start thinking about wedding favour ideas months before your wedding. This will help get your creative juices flowing and give you an idea of what you want before crunch time comes. This will also help you with your planing process, especially if you want a cohesive colour pallet for your wedding. Second, decide if you want a more DIY favour or one that is ready to go out of the box. There are tons of choices for favours, but once you decide, it will help narrow down your search considerably. DIY favours are more personal and memorable, but of course they require a lot more time and may cost more than you think. DIY doesn’t automatically mean cost saving. The ready to go favours can save you a lot of time and stress, most of them come in a nice little box with ribbons and thank you tags attached. All you need to do is take them out of the shipping package and place them on the table the day of your wedding. Third, you should be ordering your favours as soon as possible, especially if you are not going the DIY route. 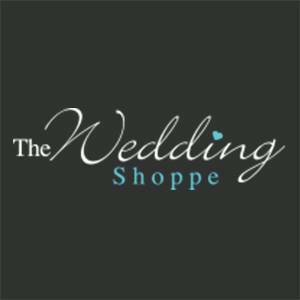 There are only a handful wedding favour suppliers that supply to all the wedding websites and stores in North America. This means that if the favour you are interested in becomes backordered, it may be months before that item becomes available again in all stores. It is also important to order more favours than you think you will need to account for unexpected guests (yes, it does happen!) and unexpected breakage. If you have any questions about the turn around time for your favours please contact us and we will be happy to answer all of your questions. We have favours that can cost from under one dollar to up to double digits per favour. If you wish to give more expensive favours, you can present one per couple and leave it between their place settings on the table. Favours are worth the price – remember your guests look forward to receiving them. If you are planning on spending a certain amount on your favours – make sure they are functional, fun, meaningful and won’t be left behind. Don’t “cheap” out on your favours your guests will notice. Spend what you can afford – and remember to give something that you would appreciate receiving. Previous Post The Unity Sand Ceremony – Everything you need to know! Next Post Writing Your Thank You Cards: Tips for every Gift Scenario and more!